Sariaya Mayor Marcelo Gayeta heartbreak and pain are overflowing after his son Christian was killed in what police said was a shootout. The mayor poured out his grief in a message for Otoy on Facebook. In his post, he said what happened to Otoy was very painful, and that he had been a good son who is very beloved by his family. The mayor reminisced about Otoy planning and shouldering the expenses for his mom’s March 19 birthday celebration, and about him waking the mayor up early to visit barangays. Otoy was a sweet boy who showed affection for his parents and drives for them. He loved to cook eggs with sardines when they are tired, and had a passion for motocross. The mayor said he would do anything to bring his son back to life if he could, and asked him for strength to help the family get through their ordeal. “OTOY SUBRANG NAPAKASAKIT ANG GINAWA SAYO. NAPAKABUTING ANAK MO SUPER KA NAMIN MAHAL NA MAHAL DAHIL KAYO LANG 3 MAGKAKAPATID ANG KAYAMANAN NAMIN KAYO ANG AKING LAKAS..IKAW PA ANG NAG PAPLANO SA BIRTHDAY NG MAMA MO NGAYON MARCH 19 NA LAHAT NG GASTOS IKAW ANG SAGOT..PINATAY KA NG WALANG KALABAN-LABAN SUBRANG NAPAKASAKIT HABANG GINAGAWA KO ITO PARANG MATUTUNAW Q. ANAK MAHAL NA MAHAL NA MAHAL NA MAHAL KA NAMIN..WALA NG GIGISING SA AKIN TUWING MADALING ARAW PARA BUMABA AKO SA MGA BARANGAY..WALA NG KAKATOK SA KWARTO NAMIN NA PAPA AALIS NA TAYO AT 4:30am NA KC MAY KAUSAP SA NG 5am..WALA NA AKONG MAKAKATABI SA BAWAT LAKAD KO KC LAGI MONG SINASABI NA PAPA AKO ANG KATABI MO SA MGA LAKAD MO KC PARIHO TAYO POGI….WALA NG HAHALIK TUWING MAG SISIMBA TAYO KASAMA MGA KAPATID MO WALA NA MAG SASABI SAKIN NA PAPA MAG IINGAT KA.WALA NA MAG MAMANIHO SAKIN PAG PUNTA TAYO SA BUKID..WALA NA MAG LULUTO NG SARDINAS NA MAY ITLOG NA PABORITO NATIN PARA MADALI TAYO MAKAKAIN PAG PAG PAGOD TAYO SA LAKAD..WALA NA GAGAMIT NG MGA MOTOR MO SA MOTO CROSS. 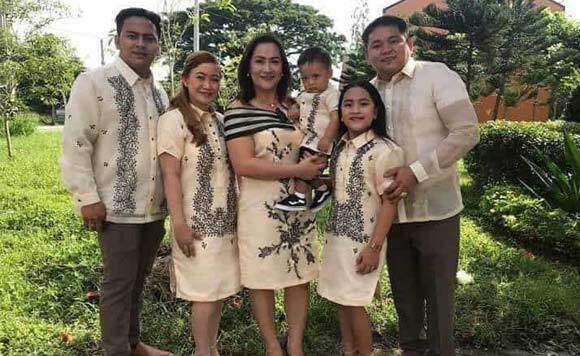 OTOY MAHAL NA MAHAL KA NAMIN KONG PWDY LANG AKO GUMAWA NG PARAAN PARA MABUHAY KA PAULIT ULIT KONG GAGAWIN ANAK..DATI SACRISTAN KA SA CMBAHAN NON BATA KAPA ANAK TULUNGAN MO KAMI NA MALAMPASAN NAMIN ITO..LOVE U OTOY..,” Gayeta posted on Facebook.